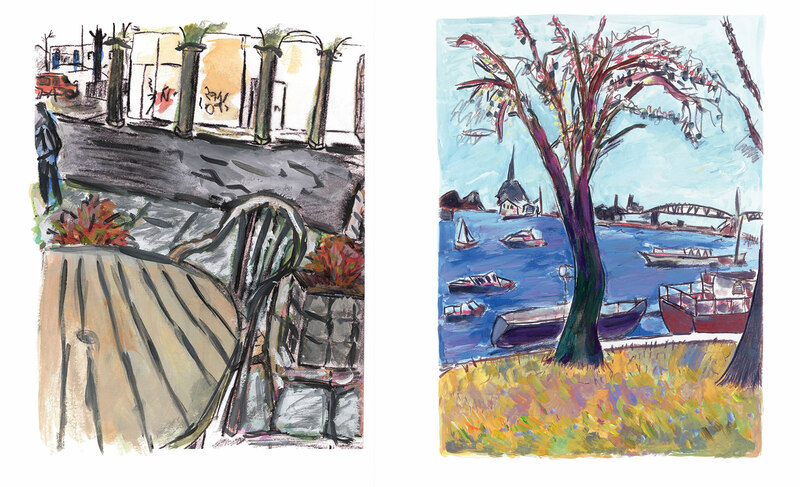 A series of striking paintings from cultural icon Bob Dylan have been released as signed limited edition graphics by the UK's leading fine art publisher, Washington Green. Following unprecedented demand for 'The Drawn Blank Series' – which was first translated into limited edition graphics in 2008 – Washington Green has published six of the most iconic images from the collection in never before seen colourways. Released in an edition of 295, each piece is individually hand signed by the artist, and will be available to buy at Castle Fine Art, Manchester on Deansgate and Castle Galleries based in The Trafford Centre from Friday 8th April. As one of contemporary culture's most influential and ground-breaking artists, Dylan, now 74, continues to reinvent and inspire. His contribution to music is well documented, having released 36 studio albums, wining 11 Grammy Awards and selling in excess of 125 million records worldwide. In recent years, his work as a visual artist has furthered his popularity and acclaim. Dylan dates the origins of his work as a visual artist to the early 1960s – drawing throughout his music career to "relax and refocus a restless mind". Whilst travelling on tour between 1989 and 1992, Dylan created a collection of drawings featuring portraits, interiors, landscapes, nudes and street scenes that were published in a book entitled 'Drawn Blank' in 1994. When Ingrid Mössinger, the curator of the Kunstsammlungen Museum in in Chemnitz, Germany, came across the works over ten years later in 2006, she urged Dylan to host his first major museum exhibition. During an eight month period in 2007, Dylan reworked the original drawings to create a series of 320 expressive and vibrant watercolour and gouache paintings. Several versions of each image were created by Dylan in different colours and tones, resulting in a dynamic variety of impressions, feelings and emotions. These paintings formed a collection entitled 'The Drawn Blank Series' – the subsequent exhibition of the works at the Kunstsammlungen Museum in 2007 were met with widespread critical acclaim. The Drawn Blank Series' is something near and dear to me. To see them being widely circulated reaffirms my original belief that there was something to them all along. "I was fascinated to learn of Ingrid's interest in my work, and it gave me the impetus to realise the vision I had for these drawings many years ago." "'The Drawn Blank Series' is something near and dear to me. To see them being widely circulated reaffirms my original belief that there was something to them all along." 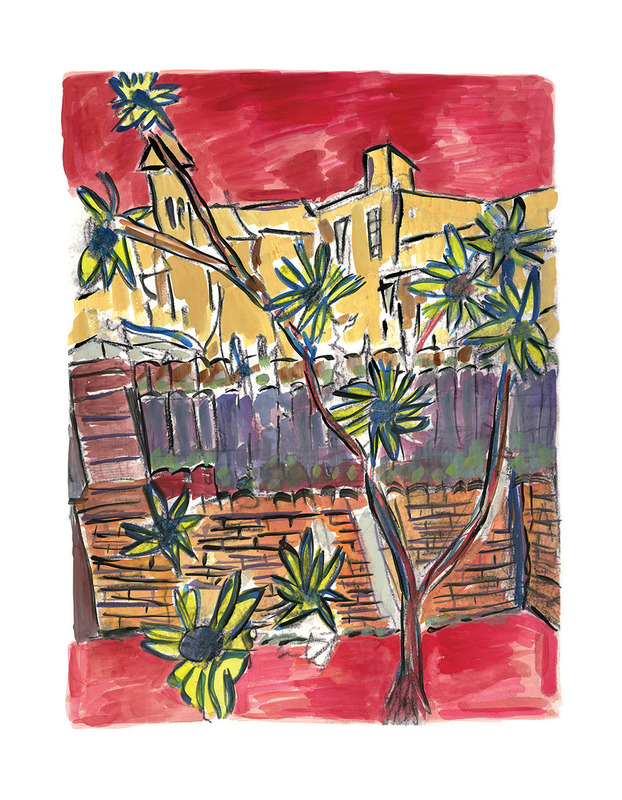 Washington Green have published Dylan's art for eight years, releasing the first series of signed limited edition graphics from 'The Drawn Blank Series' in 2008. He remains the top selling artist in Washington Green's 30 year history and has garnered phenomenal worldwide interest in his artworks. "These expressive works capture Dylan's chance encounters and observations – providing a rare insight into his life. "This carefully selected collection of paintings, published as signed limited edition graphics, will enable collectors, and art lovers throughout the world, access to Dylan's works of art. They illustrate the skill and imagination not only of Dylan the artist, but also of Dylan the man." Dylan's previous signed limited edition collections published by Washington Green include several releases from 'The Drawn Blank Series', 'Sidetracks', hand embellished images based on Bob Dylan's most iconic image Train Tracks, and 'The Brazil Series', inspired by Dylan's visit to the country while on tour. The six new signed limited edition graphics have been produced in an edition size of 295 and cost £1,750.00 each. They will be available to buy from Castle Fine Art, Manchester located on Deansgate and Castle Galleries located in The Trafford Centre from Friday 8th April 2016.